This wall was created by DELVE www.flickr.com/photos/delovate/ ,Will Kasso www.flickr.com/photos/kasso_vs/ & Leon Rainbow www.leonrainbow.com. We decided to do a tribute wall for Guru of the hip hop duo, GANGSTARR. Guru passed away recently due to a battle with cancer. His death was a huge blow to the Hip Hop community. 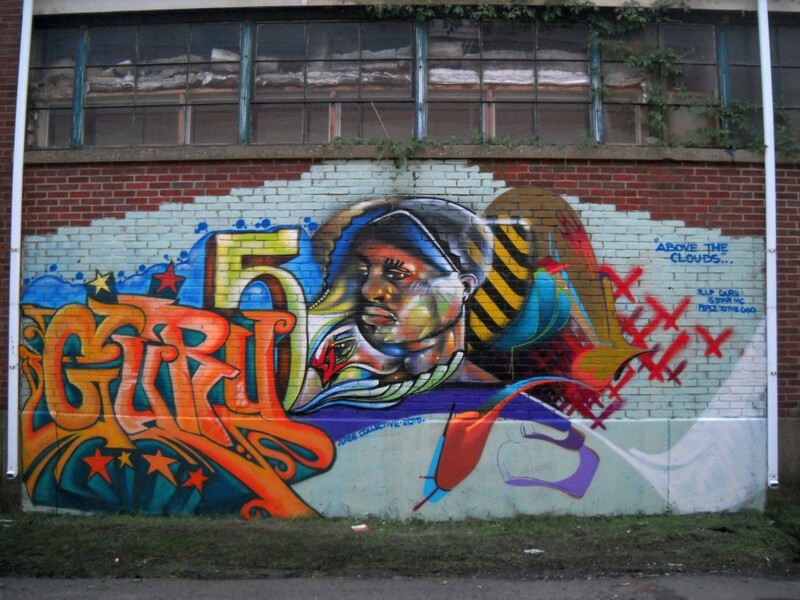 This wall is in honor of a legendary emcee who left a wealth of material for future generations to come.